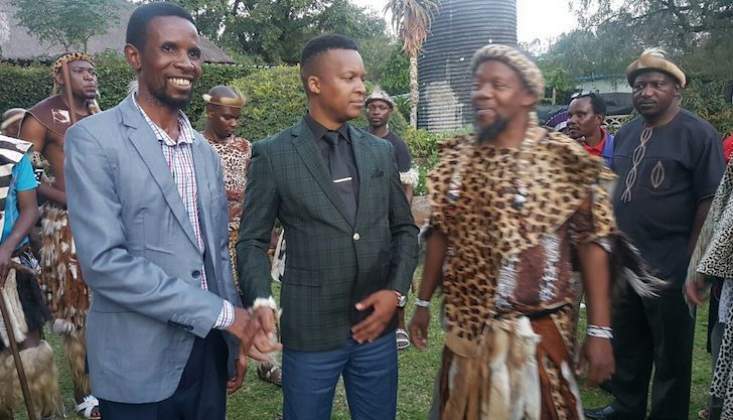 Mthwakazi Republic Party has congratulated King Bulelani Lobhengula Khumalo on the occasion of his inauguration as the 3rd King of Mthwakazi people, after his great grandfather King Lobhengula Khumalo. The party said the announcement of the official coronation of the King which took place on the 28th of September at a private ceremony, brought joy and exuberance from those who had attended the commemoration of King Mzilikazi at his grave site. Chief Nhanhlayamangwe Khayisa Ndiweni, who broke the unexpected news, challenged all those who were present to announce the great news to the entire world. "As the People Revolutionary party we say, Bayede! Bayede! Wena wendlovu! Wena wendlovu! This is the dawn of a new era for the people of Mthwakazi. Never again shall they remain fatherless," said the party. "We are greatful to izinduna zakithi for the patience and diligence that they exercised in the hunt for the heir to the thrown of King Lobhengula that was distroyed 125 years ago by the white colonial settlers accompanied by 652 clubman from Mashonaland." "Siyalibonga Mantungwa amahle, however we wish to emphasise that King Bulelani Lobhengula Khumalo must not be a king of the Khumalo people but rather a king of Mthwakazi people. It has consistently been our position as a party that we are receptive to a constitutional monarch as opposed to an absolute one."